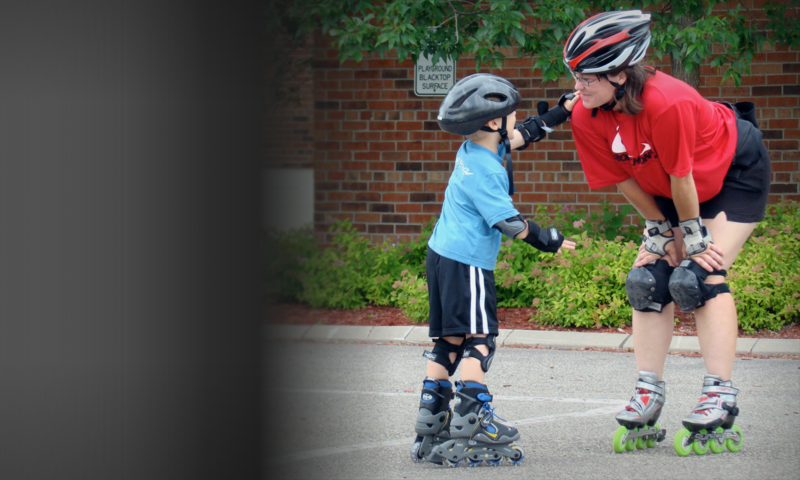 Your lead instructor, Noelle Robichon, is the world’s most experienced inline (rollerblade) skate instructor. From Minneapolis, the popularization place of outdoor inline skating during its emergence in the 80’s, she recognized skaters new to the sport and veterans of indoor skating alike could use assistance learning how to manage hills, trail and street hazards. A distinguished award-winning athlete having competed in multiple sports nationally; including competitive artistic roller skating, and with a long career teaching and coaching multiple fitness oriented activities, she started developing inline skate education programs to fill the void outdoor skaters needed to skate safely and effectively outdoors. Her efforts took off, with her new programs and over one hundred thousand taught, she garnished a national and international reputation as one of the best skate instructors in the world. Noelle Robichon – founder of Robichon’s The Inline Skate School-USA and creator of multiple world first inline skate education programs. Since the late 80’s and early 90’s, she has developed numerous world-first inline skate education programs including the world’s first outdoor skate basics program, trail skate, entry level ramp and pre-school class. She also created the first-ever week long kids camps, the first women’s only camp, and sport specific and specialty programs including skating for fitness / marathon events, brakeless braking, totally turns, instruction methods et al. She has had the honor of teaching in schools, municipalities, military bases and corporations; to the young, the aged (up to 94), the gifts and the gifted, as well as dignitaries; such as: governors, mayors, brigadier generals, and media personalities. She is grateful to each individual and each organization who has influenced her growth as an athlete, educator and human being — and, to the sport that joins us all.